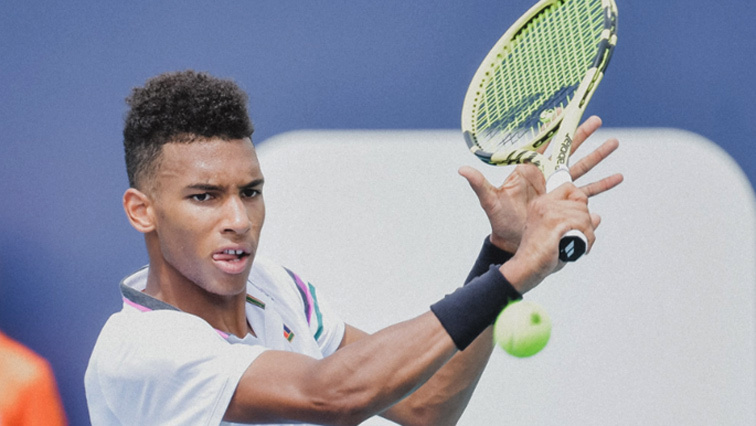 Canada's Auger Aliassime advances at Miami Open - SABC News - Breaking news, special reports, world, business, sport coverage of all South African current events. Africa's news leader. Auger Aliassime has had a number of good results recently including a spot in the finals of the Rio Open in February. Canada’s Felix Auger Aliassime advanced to the main draw at the Miami Open with a 7-6, 6-2 win over Italy’s Paolo Lorenzi. The 18-year-old was not high enough in the rankings to secure a spot in the Miami main draw when the entry list came out several weeks ago. This despite being the youngest person to reach an ATP 500 event. Auger Aliassime fired 13 aces and fended off the only break point he faced to keep the pressure on the veteran. He held on to book a place in the main draw where he will face another qualifier Casper Ruud. It was a good day for Argentina as two of it’s players swept their way into the first round of the main draw at the Miami Open. Guido Andreozzi beat Mikhail Kukushkin of Kazakhstan 7-6, 6-4. While Federico Delbonis beat German Peter Gojowczyk 6-4, 6-2. Jo-Wilfried Tsonga, who was featuring in his very first ATP qualifying round in more than a decade, was knocked out in the qualifiers in straight sets by Pablo Cuevas of Uruguay 6-4, 6-4. Meanwhile, top tennis players that included, Novak Djokovic, Roger Federer, Serena Williams and Naomi Osaka cut the ribbon before the first day’s play to officially open the at the new venue for the Miami Open. The complex consists of 12 match courts and 18 practice courts. This entry was posted on 21 Mar 2019,07:20PM at 7:20 PM and is filed under Sport, News. You can follow any responses to this entry through the RSS 2.0 feed. Both comments and pings are currently closed.